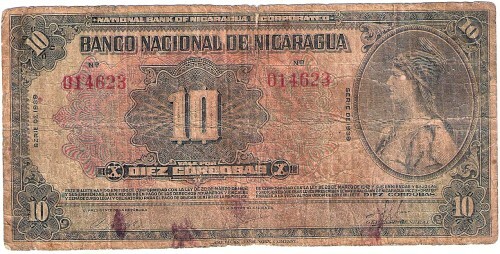 This banknote is a Nicaragua 10 Cordobas banknote Series of 1939. This note is very scarce note with few showing in auction results or otherwise online. One note is available.